As investors, we know that there are few pieces of information that get investors quite as excited as news of mergers and acquisitions. In general, mergers cause big gains, and this case is no different. At the moment (12:46), HMNY is trading at $5.70 per share after a gain of $4.67 per share or 453.40% thus far today. 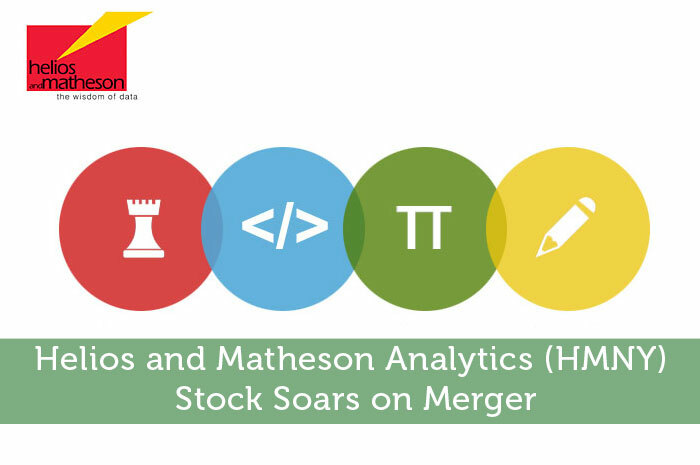 Moving forward, I have an overwhelmingly bullish opinion of what we can expect to see from the new Helios and Matheson Analytics. Throughout the years, the company has proven that it has incredible capabilities when it comes to deep learning (Machine learning) and analytics. Now that the company is merging and going to be making RedZone (an app that made it to third place in many app stores) better, the sky is really the limit at this point. All in all, I believe that the merger is a match made in heaven and that it will likely lead to big gains moving forward. Where do you think HMNY is headed moving forward and why?